Government of Nepal, Ministry of Foreign Affairs announces invites application for the position of Executive Director. 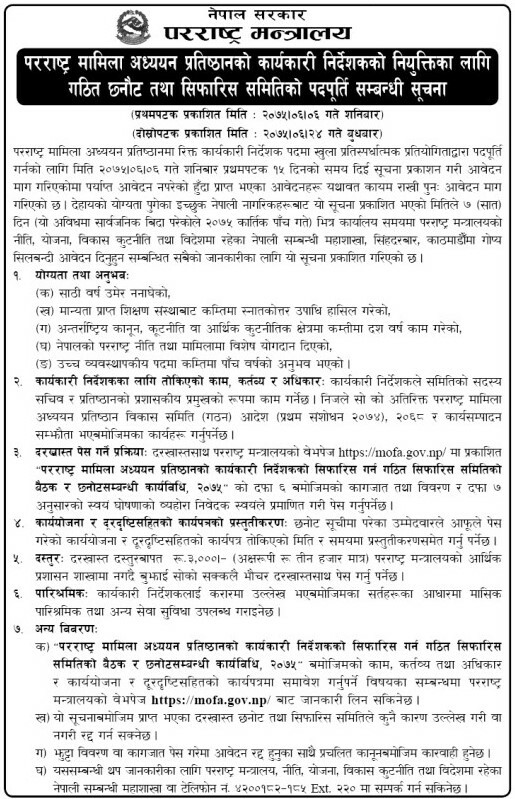 Interested and qualified Nepalese citizen are requested to fill the application form by Kartik 05, 2075 (October 22, 2018). Minimum Master's degree from the recognized University. > At least 5 years experience in high level management position.